Add a sticker every time you guess a missing word. The merriest farmyard fun. 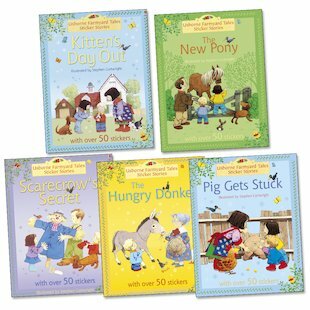 If you love the Farmyard Tales series, here’s a treat for you. (And if you don’t yet know the series, this is your perfect chance to try it.) Sticker book versions of five of the very best stories. YOU get to finish them by adding your stickers in. Ponies, donkeys, kittens, tractors: all your favourite farm things. Plus reading practice too.